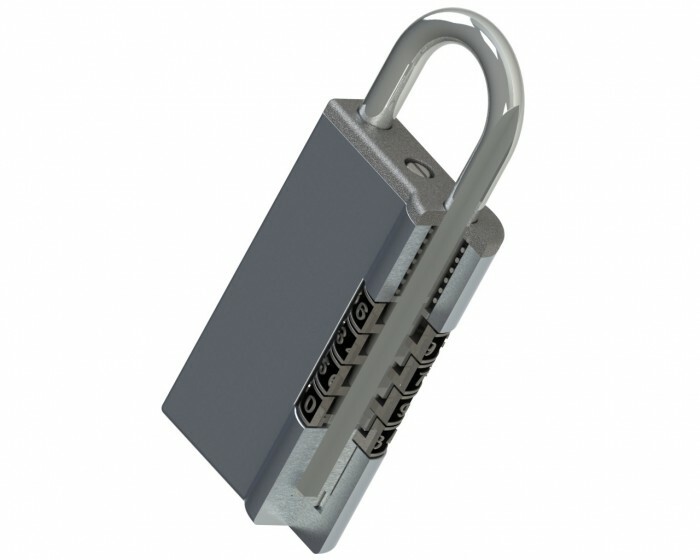 A padlock includes a shackle having a channel disposed along an axis of the shackle. The padlock also has a plurality of dials each having a single detent. 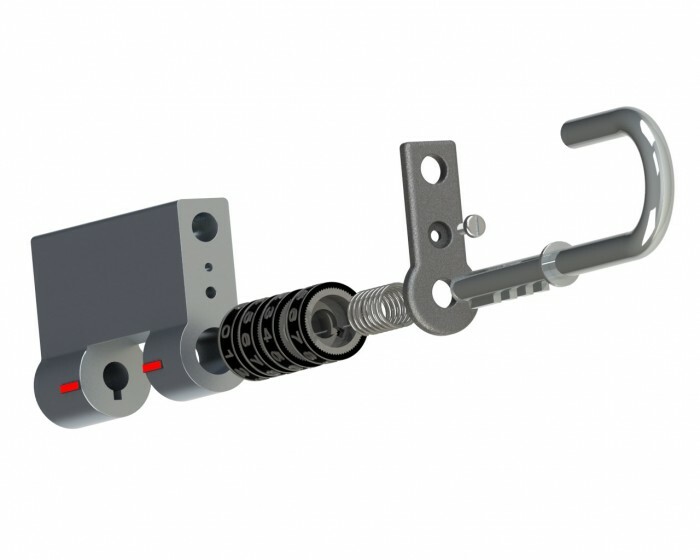 The shackle can also include a plurality of circumferential grooves formed in a spaced arrangement along the shackle, each groove corresponding to one of the dials. 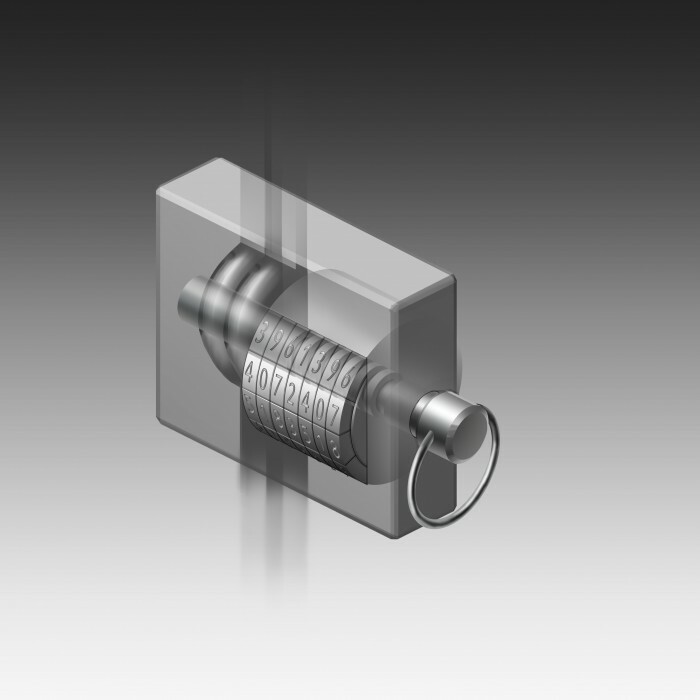 This particular invention relates to a Dial Padlock with a nearly INFINITE number of combinations. It has a simple, neat and durable design which is very easy to manufacture. 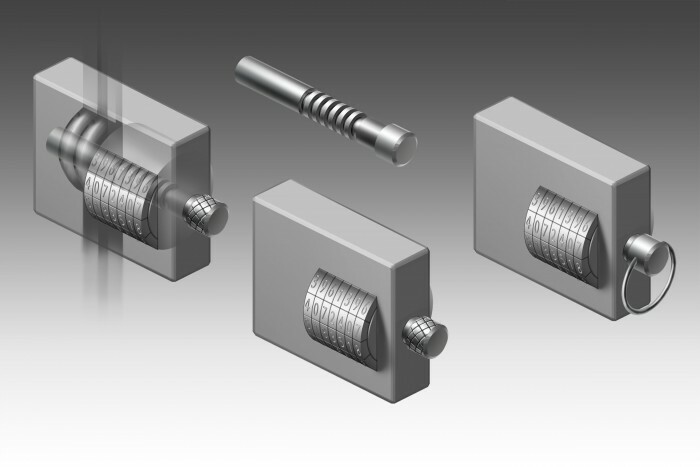 Some conventional padlocks have a fixed combination that is set at the factory. 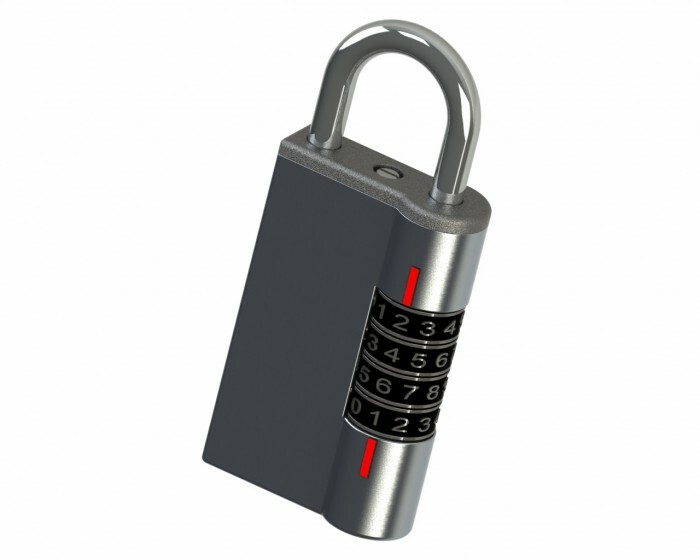 Many dial padlocks have a fixed set of dials that are not removable or changeable. Also, some conventional padlocks have dials that are not aligned with the lock shackle and thus may have additional components or complexity. Moreover, many of those designs are not reliable. The Internet is full of videos explaining how to pick such a padlock in just a few seconds without knowing the right combination. The instant design was conceived in light of the above-mentioned problems and limitations. It is nearly impossible to pick and so unique that the patent was granted in record time! The US market for security products is expected to increase 7.3 percent per year to $21 Billion in 2016. The global demand in 2016 will reach $117 Billion according to experts. You are presented with an exciting opportunity to own a share of this huge market! Also, unlike some other patents listed on eBay, our pricing is very competitive, realistic and reasonable. In fact, the patent is priced below market; we need these funds to develop our other inventions. Therefore, any experienced patent broker will tell you: this patent is priced to sell! This U.S. patent is valid until May 26, 2032 and gives its owner the right to prevent others from making, selling and importing the invention. Buying it could be an excellent starting point for a new business, be it an additional line of products or a completely new category of goods for the buyer. 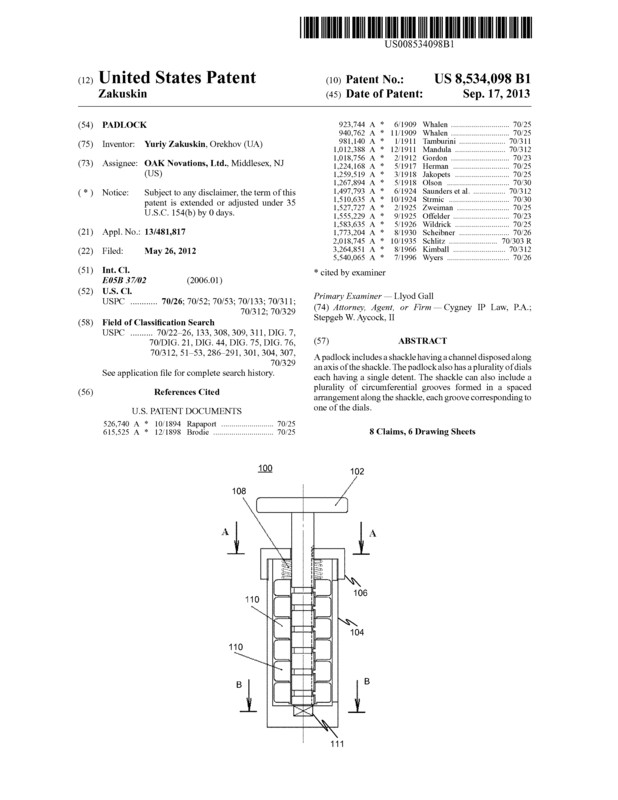 Page created at 2019-04-25 20:01:06, Patent Auction Time.